Frequenters of the show and/or blog may be aware that the last unboxing post done was for the Google Chromecast I had ordered approximately a year ago. 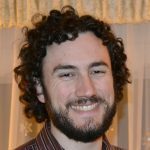 I know I promised to follow up with a review of sorts for the actual use/operation of the device, however I (clearly) have not gotten around to that as of yet. Long story short, I actually haven’t used it all that much because it doesn’t tend to like remembering my WiFi network credentials (for whatever reason) and I have to continually set it up each time I want to use it if it had been unplugged/shut off from a power source between uses. This tends to take away from my excitement and inclination to utilize it, and I will more often than not just watch YouTube on my phone and Netflix through my LG SmartTV app. I’m glad you asked! 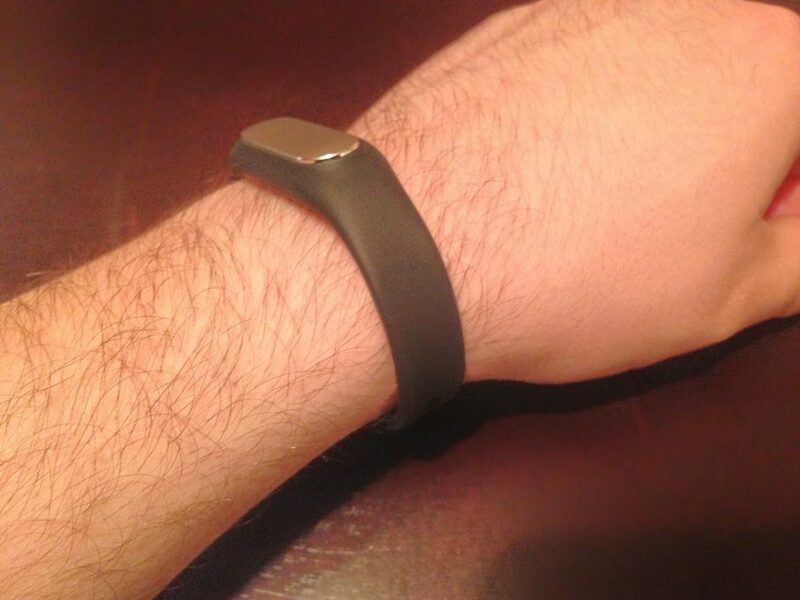 The Xiaomi Mi Band is but one variety of what is known as a “fitness tracker”, or in a broader sense, a wearable device. 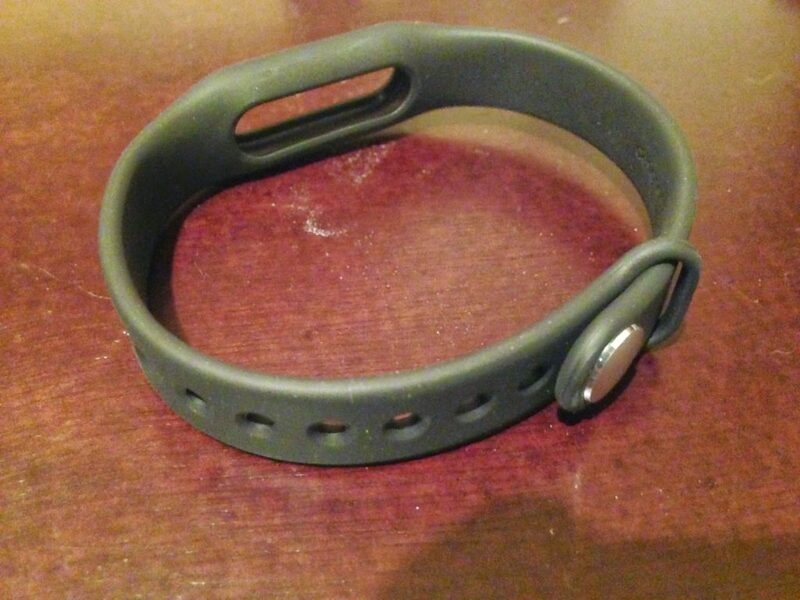 More well-known devices of this sort would be the Fitbit or the Jawbone. It’s at this point that you will either by nodding in recognition of what I am talking about, or I’ve completely lost you. 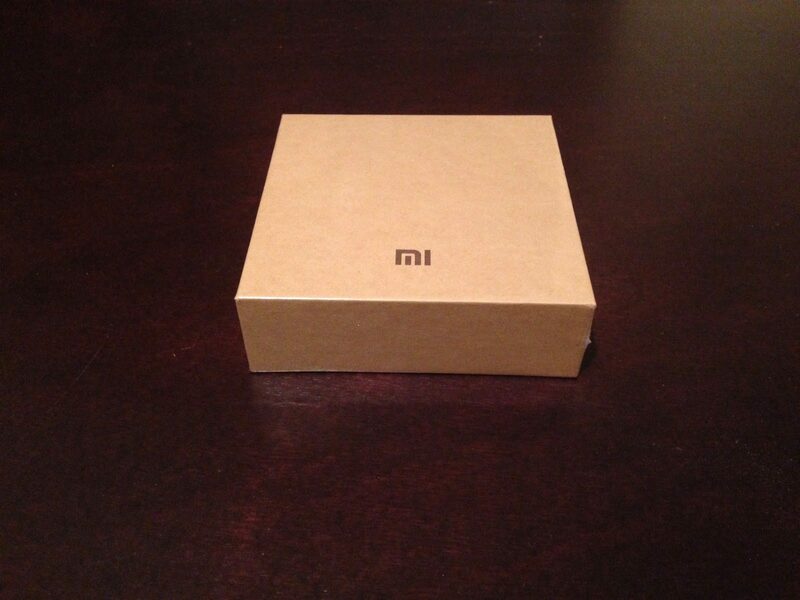 In either case, I will continue and take you on an what will hopefully be an exciting journey of the unboxing of my Mi Band. As you can see from the lead picture, I excitedly tore open the air-mailed package that came 6-8 weeks after I ordered it online for less than $20 CAD (including S&H!). This was honestly the main reason I impulsively purchased this. 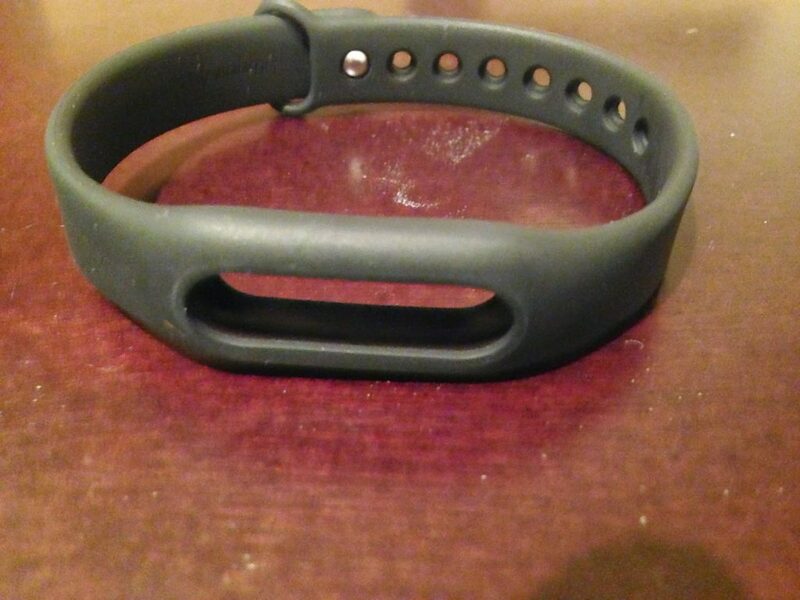 I had considered investing in fitness trackers for both myself and my dear wife, however my rational thinking always got the better of me and I had resisted dropping upwards of $79.99 for a single device. 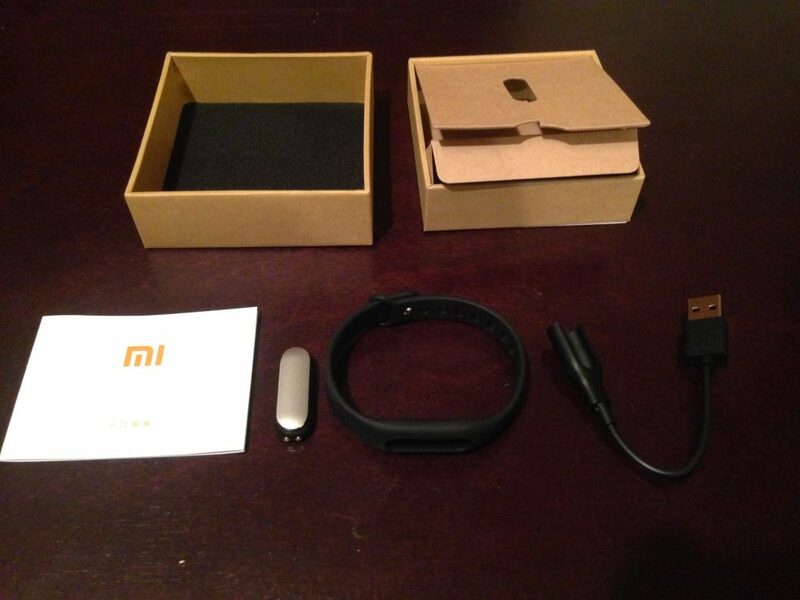 Seeing a flash sale for the Mi Band at the price it was listed at made this purchase a no-brainer for me. 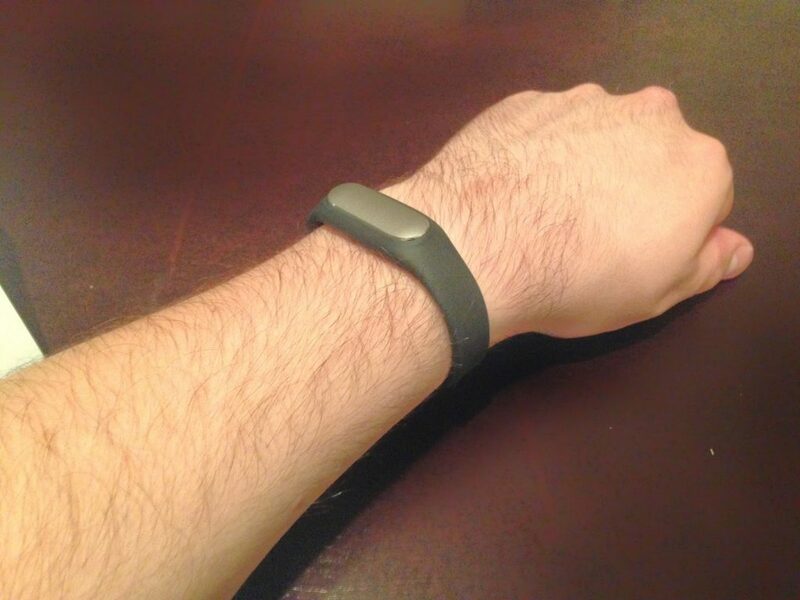 With features like activity tracking, sleep monitoring, and data tracking through a mobile app, I had all I really needed or wanted from a fitness tracker. As a bonus, it even has the ability to alert me when my phone is ringing, is IP67 water resistant, and has 30-day battery life. For less than the price of a KFC bucket meal! That’s what *I* call a healthy lifestyle choice. 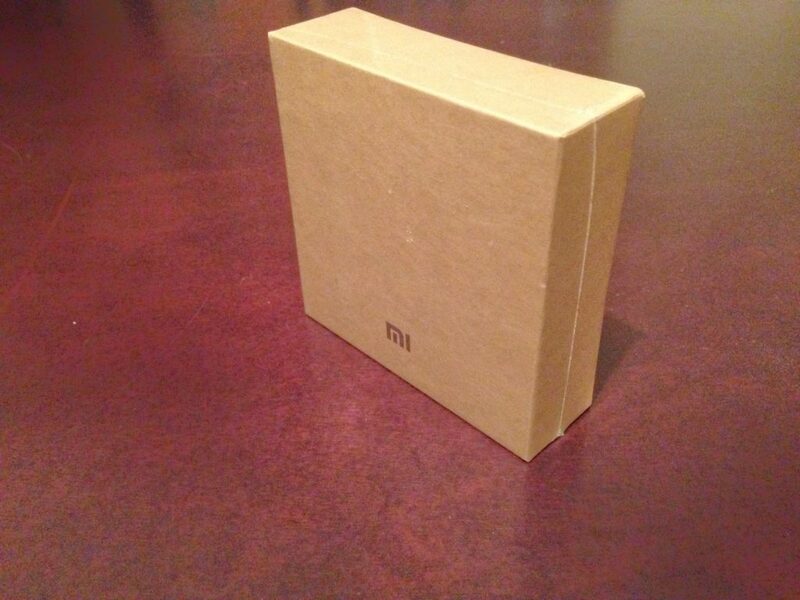 In true Xiaomi fashion, this product is perhaps intended for the China-residing contingent. The packaged box is very unassuming; nothing more than a box-coloured box with a stylized “Mi” logo on the front, shrink-wrapped like the many PC games of my childhood were. Fighting with the single sticky-outy corner of the shrink wrap brought back fond memories of excitedly opening the previous-year’s version (I was too cheap to spring for the new edition) of NHL <insert year here> from EA Sports. 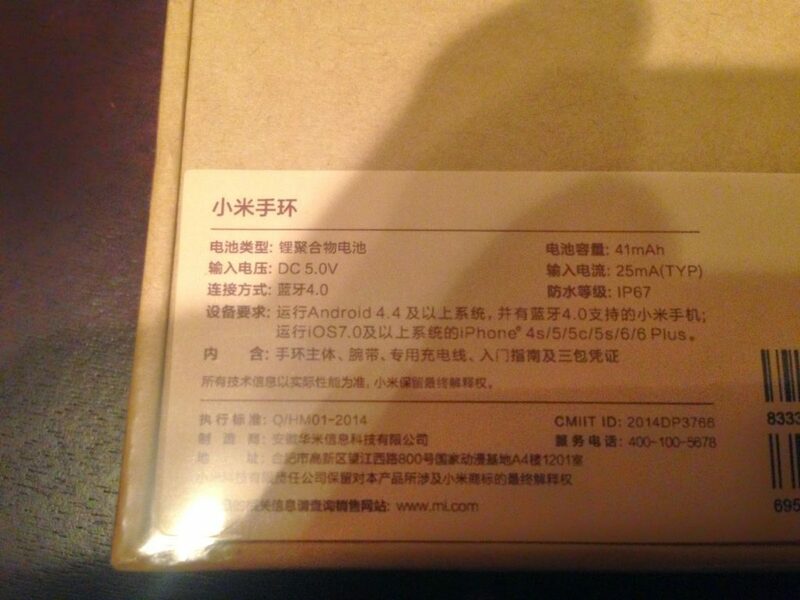 Flipping the box over, we see the product information label with about 85% of it in what I can only assume is Chinese typeface (Google Translate camera recognition was of no use in confirming this). 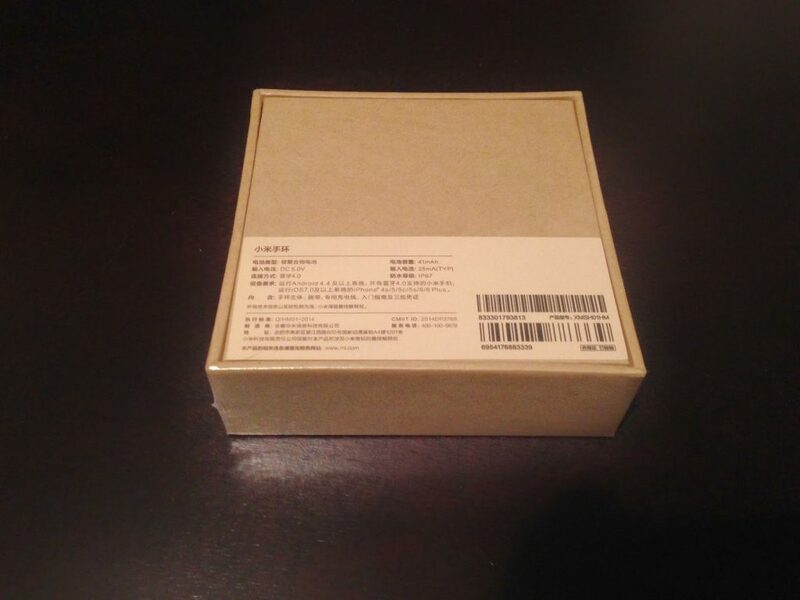 It is actually not unexpected to see a Xiaomi product with little regard for the English-reading global contingent; much of the Xiaomi product line is unavailable everywhere except for China. Opening the box up, we are greeted with a very minimalistic presentation (as has become quite fashionable in the tech world these days). 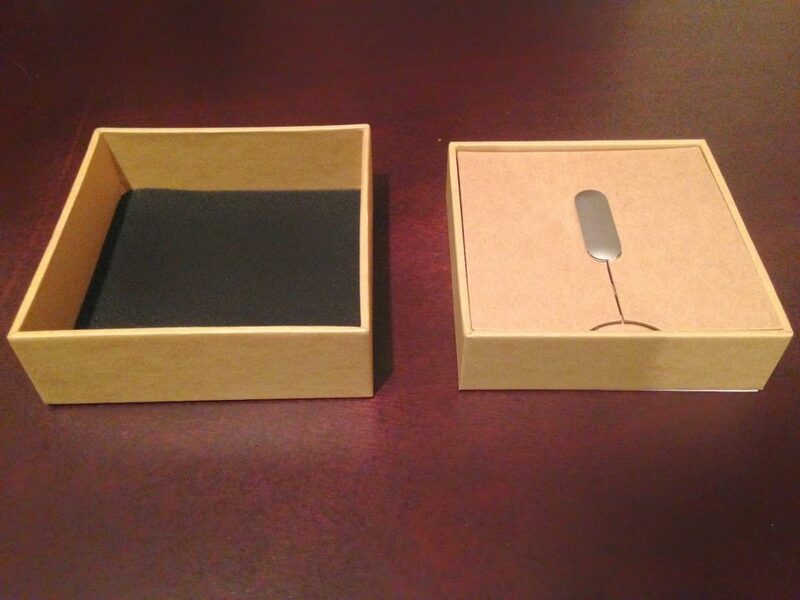 Nothing more than a foam-lined lid and a silver pod-shaped device, inset and centered in a cardboard surface. It was an interesting and unexpected sight when you’re expecting something more band-like; my first impression was that this pod was an element of the main sensor package for the device. 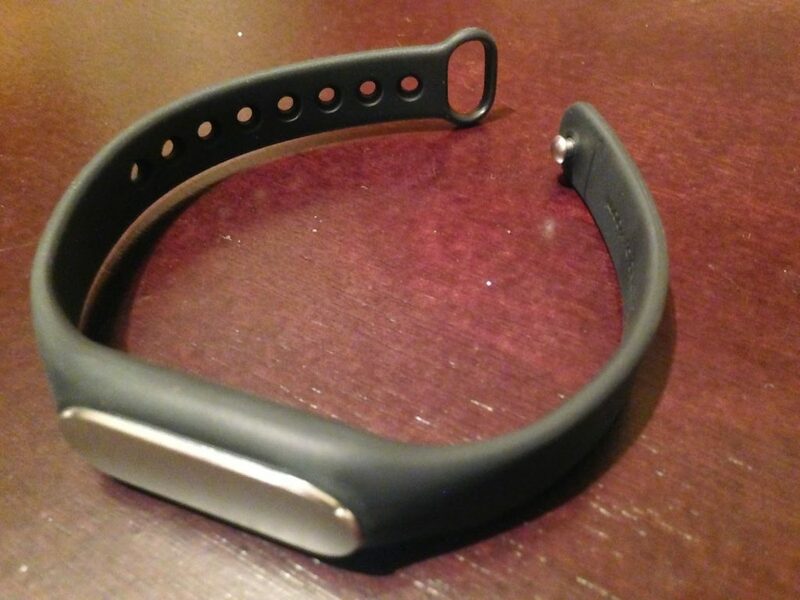 Lifting the cardboard surface, we uncover the “band” part of the Mi Band, as well as the USB connector and the user manual. It’s a nice touch to have the “Mi” logo of the manual as a focal point inside the ring of the band as soon as it’s opened up. 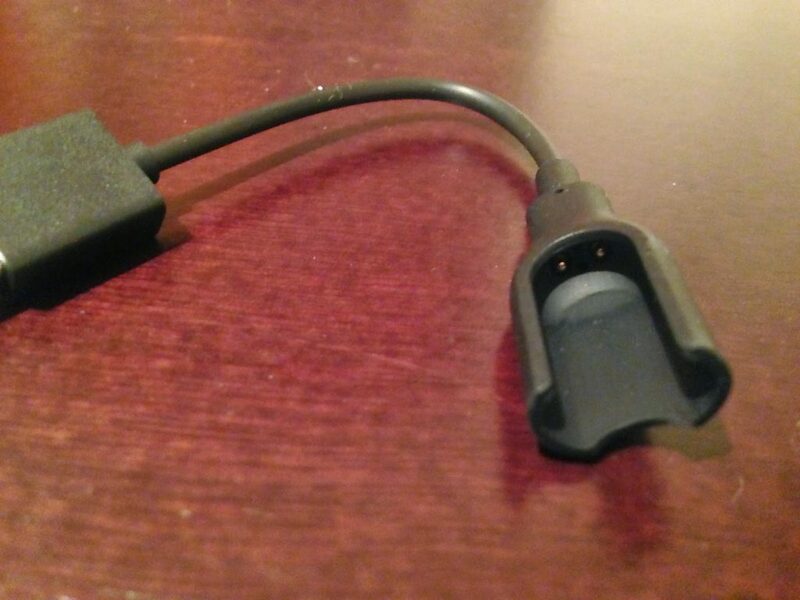 Also immediately noticeable is the two contact points on the sensor package, assumed to be inserted in the non-USB end of the connector cord. 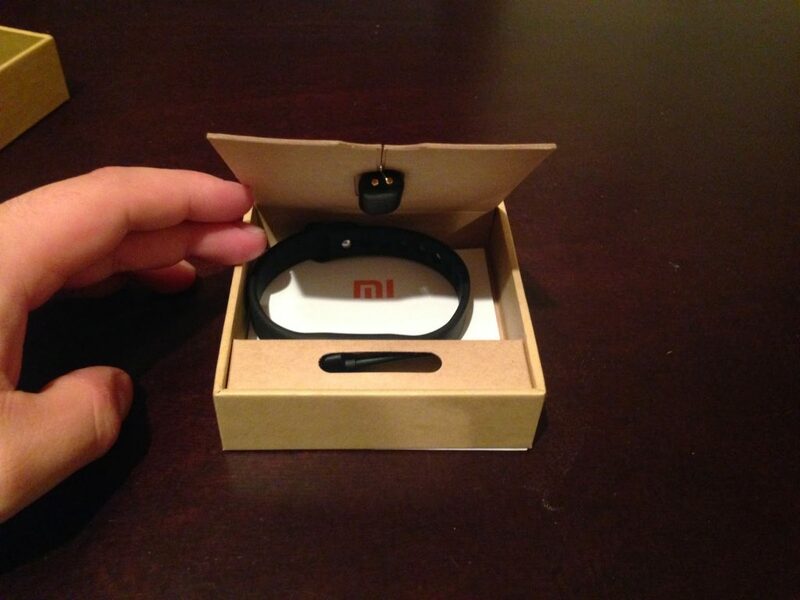 Altogether, we have four components to the package (not including the packaging itself), with the main device having but two components; the main silver-coloured sensor package and the silicone wrist strap. In hindsight, one wouldn’t expect the device to require many more parts than that. 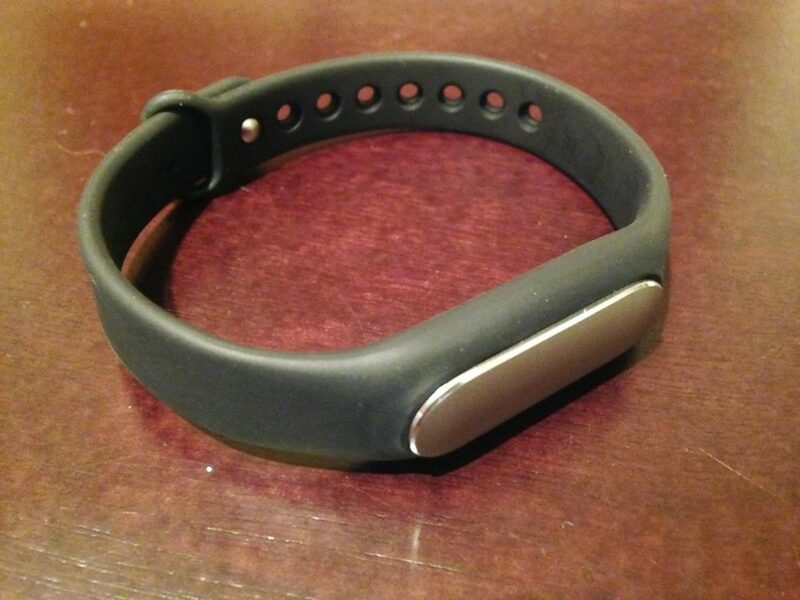 The Xiaomi Mi Band page indicates that the Band is available in a variety of colours, however the flash sale I bought this unit through was only offering the black strap (however it appears that other colours can be purchased separately through Amazon-type sites). The strap has a wide range of clasp positions, and it seems to have a nice tight fit in the holes. 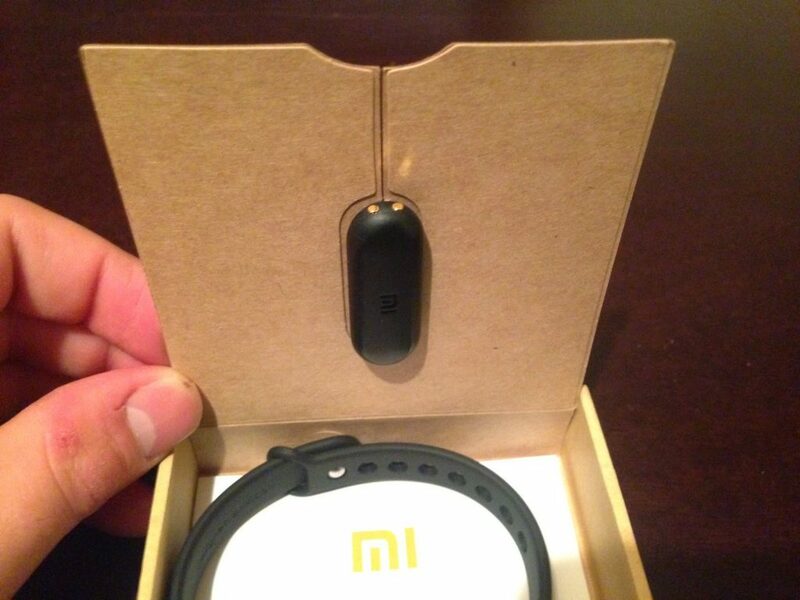 The sensor package sits tightly in the pocket, and blends in seamlessly with the silicone housing. 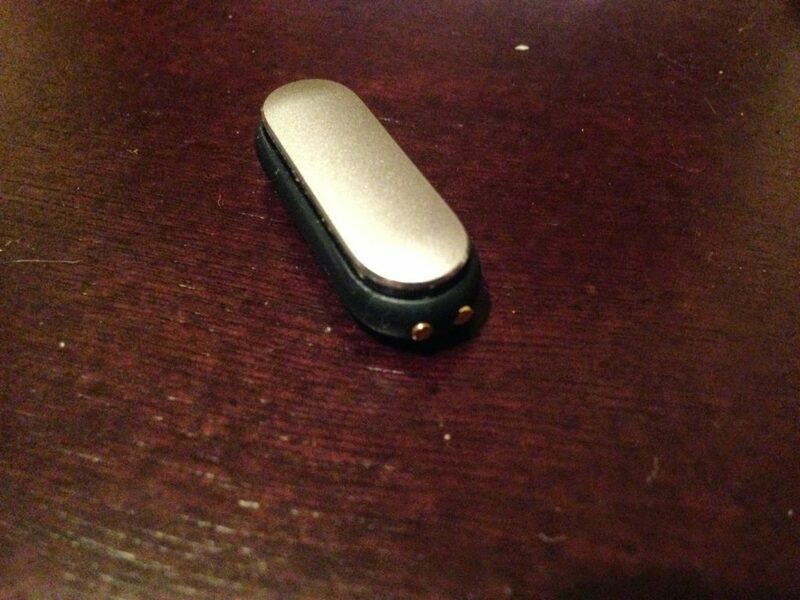 I appreciate the metallic finish of the sensor, given the fact that it’s actually a plastic casing. I was actually surprised to see three green LED lights appear from underneath the silver surface when I plugged it into my computer for the first time, expecting it to be an opaque finish. 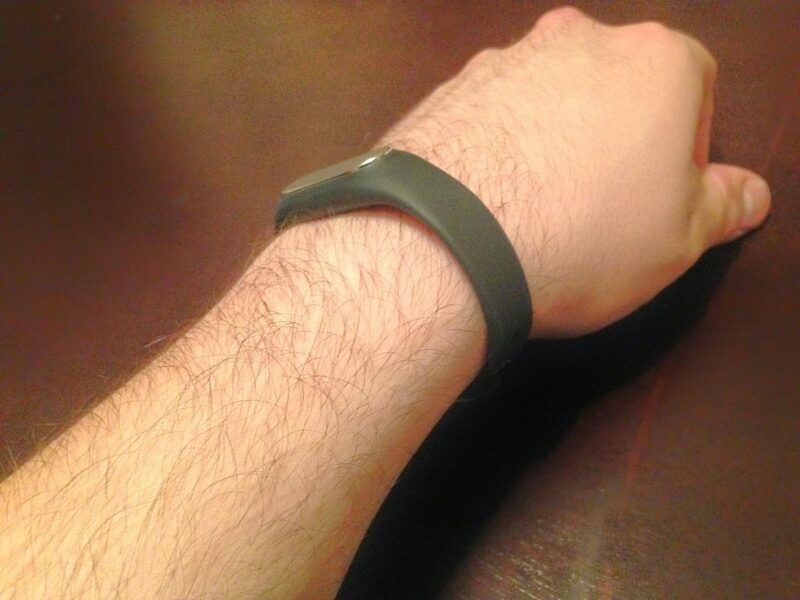 After plugging in the device to my computer to see if it had a Plug-and-Play type interface or recognition (spoiler alert: it doesn’t – the USB is for charging-only, not for data transfer/reading), I inserted the sensor package into the wrist strap to give the Band a test drive. I managed to find my “Goldilocks” clasp position – it’s nice to have the different sizing options at the intervals they’re at, allowing you to really get that perfect fit. I feel that it could exist quite naturally next to my usual wristwatch and the black colour wouldn’t be out of place with any sort of attire, be it casual or formal. 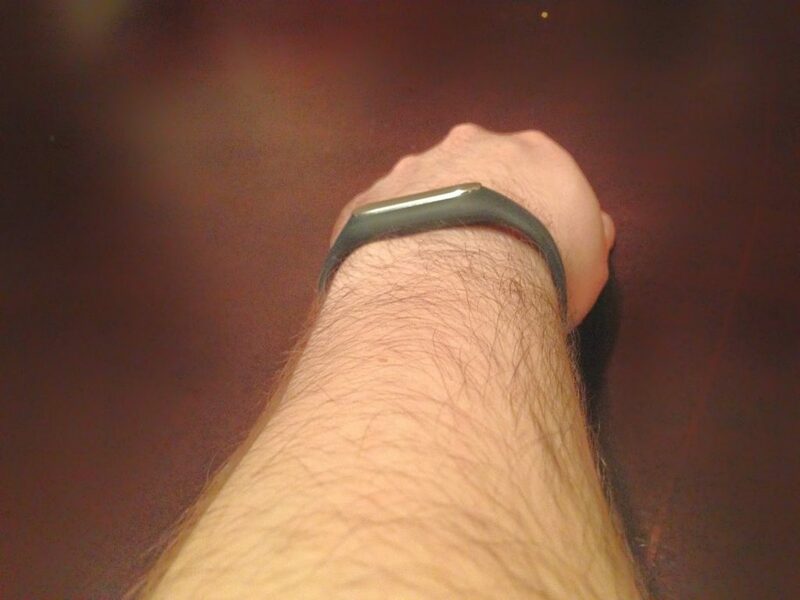 The strap sits nice and snug to my wrist profile, and doesn’t stick out by any stretch. 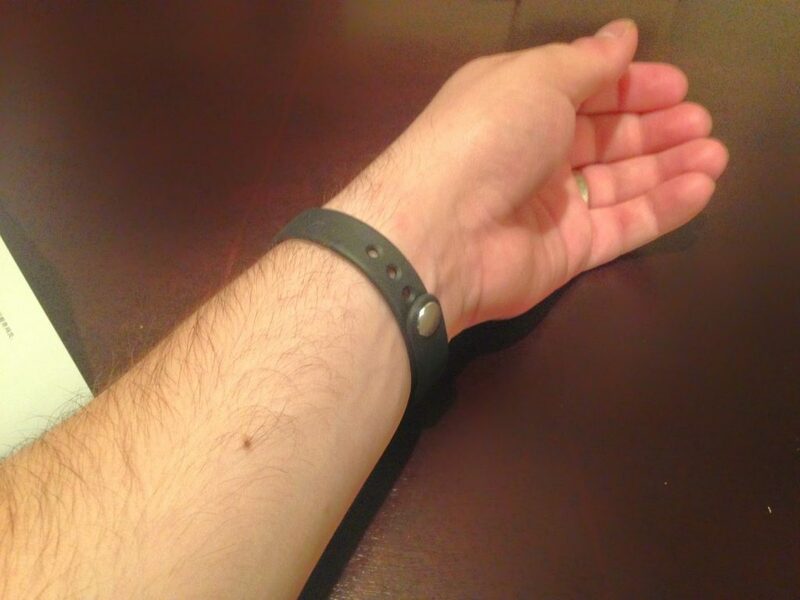 I don’t feel it has any sort of a “jewelry” look (something I personally wouldn’t really be going for with a fitness band), and doesn’t give off the idea that it’s trying to be a watch either. Next up, I wanted to do a little interacting with the device. 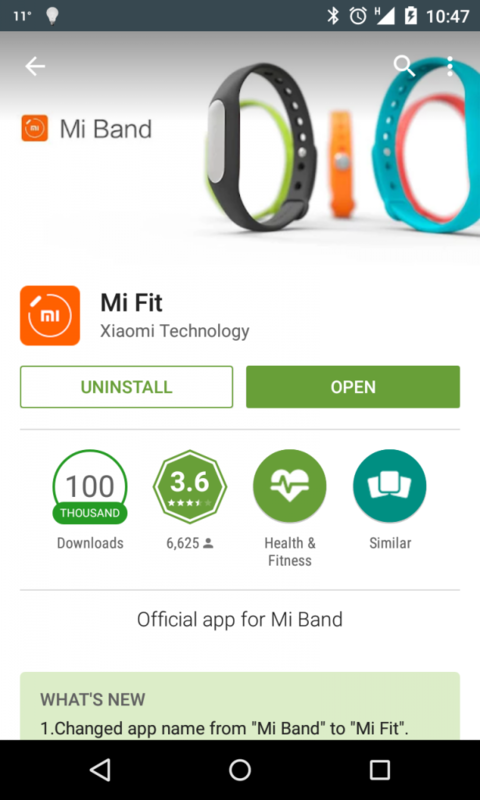 The Mi Band companion app (called “Mi Fit”) is available on Google Play and the Apple App Store. 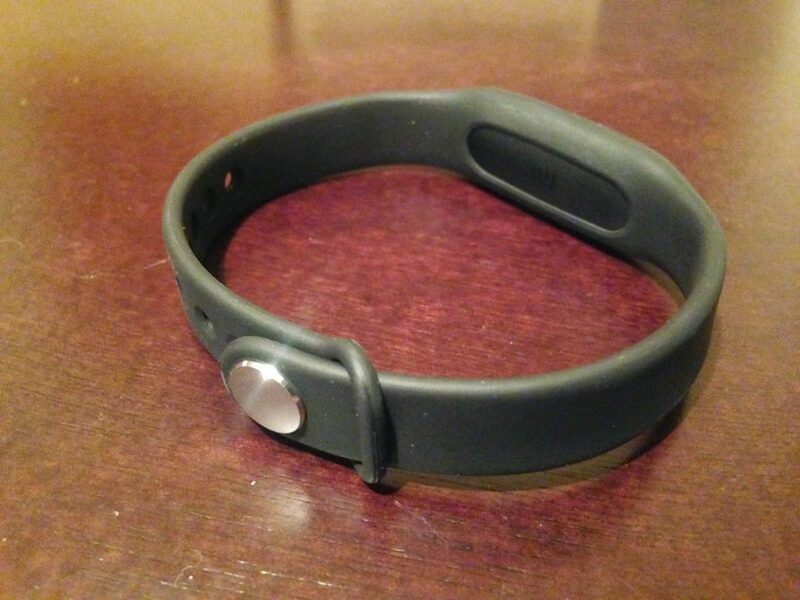 After a quick in-app account creation through either an international phone number or email address, then inputting your month/year of birth, height, and weight, you are prompted to add a Mi Band device. 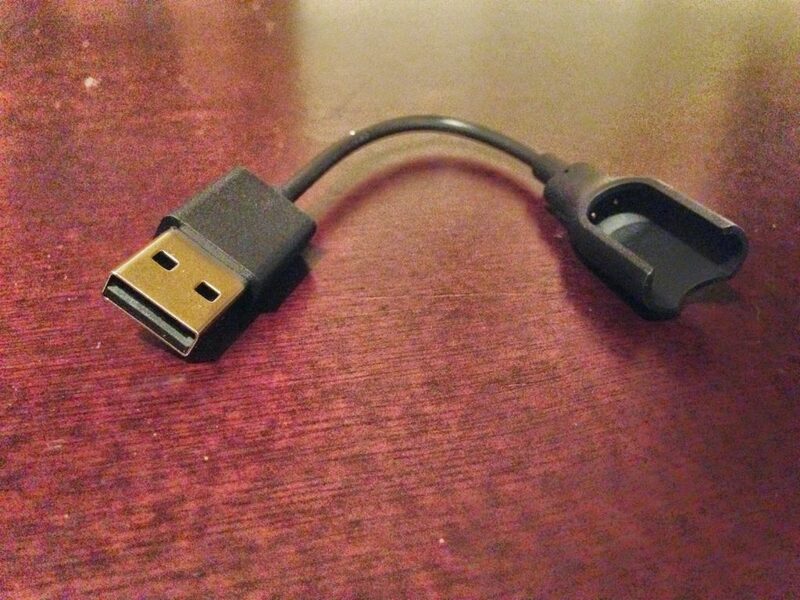 The device is paired to your phone and through the app using Bluetooth LE (Low Energy), and the app had no trouble recognizing the device and pairing with it once it was disconnected from the charging cable. 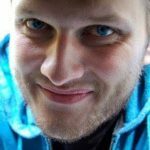 At first, I had the device connected to the computer and the app wouldn’t seem to pair with the device, but as soon as I disconnected the sensor from the cable, the app prompted me to tap the sensor to pair it and it was smooth sailing from there. The app itself is very nicely designed and fluid (utilizing the Material Design elements we’ve come to know and love). I’m very excited to start tracking this data and seeing where it goes. We on Future Chat have experimented with sleep monitoring apps in the past (that utilized the accelerometer in your phone while it was resting on your bed while you slept), however my own personal experience with these types of apps was disappointing and underwhelming at best. 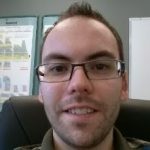 Check out the podcast starting here to get both my take on them as well as +Rob Attrell‘s and +Nick Maddox‘s opinions on the matter! 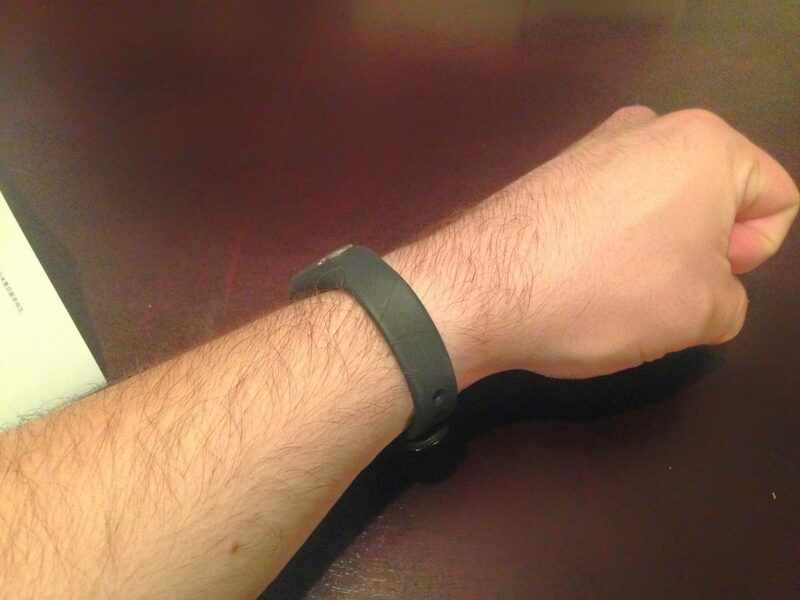 If any of you out there have any experience with fitness trackers, have considered purchasing one for yourself, or think the idea itself is ridiculous beyond comprehension, leave a comment below and let me know what you think! 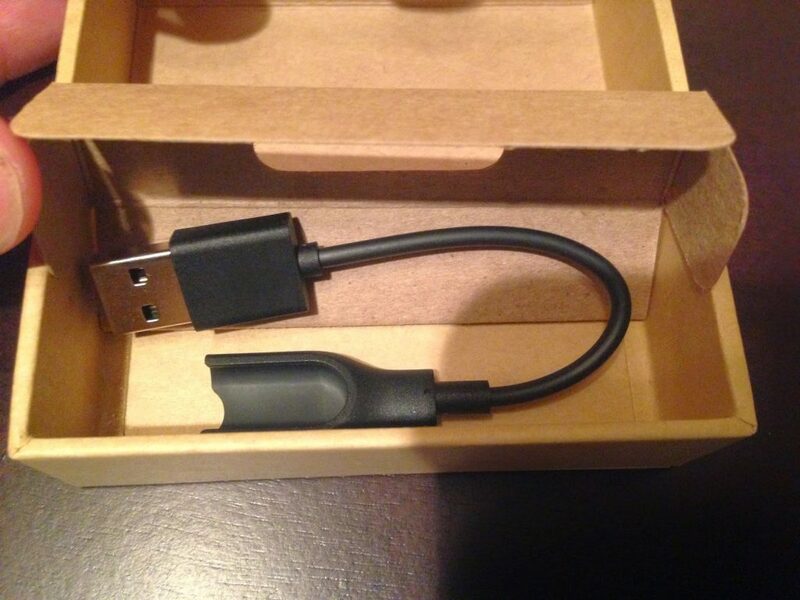 That about covers it for this installment of “Inside The Box”. Looking forward to what may come up next!